Audio Inductor Ferrite Core High Power 071 Range 0.15mH - 0.20mH from Falcon Acoustics, The Leading Supplier of DIY Hifi Components. 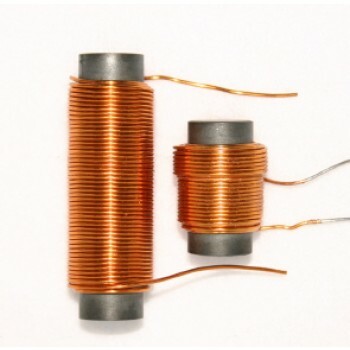 Audio Inductors from Falcon Acoustics for loudspeaker crossovers and networks are wound with self-bonding enamelled wire on high permeability highest saturation ferrite or iron dust cores, or plastic rectangular bobbins (air cores), handling up to twice as much power for the same distortion as some other cores. Falcon has supplied many leading loudspeaker manufacturers with components, both in the United Kingdom and abroad and this is your guarantee of high quality. Supplied tinned. RoHS compliant.